A Review of David Garcia's Book, "School Choice"
Full disclosure: I have already stated my support for David Garcia for governor on The Range. Today I sent in my ballot with the bubble filled in next to Garcia's name. Thursday, a post on Blog for Arizona by Larry Bodine sent minor shockwaves through the Democratic primary race for governor. Bodine wrote a scathing review of a book David Garcia wrote titled School Choice, which will be published September 28. According to Bodine, Garcia's book is pro-school privatization and, in the words of the headline "a Blueprint to Dismantle Public Education." Bodine's post was the first I heard of the book. I asked him if he would share his review copy with me, and he did gladly. I read the book — or to be completely honest, I read the beginning carefully, then skimmed the rest of the 196-page book attentively enough to understand its content. Bodine's depiction of the book is, in a word, wrong. Of the people who have had a chance to read the book and comment on it in the media, I probably have the most experience reading education books. I have amassed a significant number of postgraduate units in the field, and I've continued reading education works, ranging from blog posts to articles to books, on a daily basis. Though I have expressed my support for Garcia, I also know how to read these kinds of texts for content and possible political leanings without letting my personal opinions interfere. What Garcia has written is a book on the history of school choice beginning in colonial days and continuing through 2017. It is meant to be an objective overview of the subject, and it succeeds in that regard. If I had never heard of David Garcia and read this book, I wouldn't know his personal opinions on the subject. Though it is written for general consumption, it would be a valuable book to assign in any college course on the history of education, from Education 101 through graduate school. I'm not the only one to arrive at the conclusion that Bodine's post is a distortion of the contents of Garcia's book. Brahm Resnik, one of Arizona's top journalists, came to a similar conclusion. So did Maria Polletta of the Arizona Republic. I'll quote some of what they wrote at the end of the post. Before I talk about what Garcia has written, it's important to know the context of the book itself. It is being published as part of Massachusetts Institute of Technology's "MIT Press Essential Knowledge Series." Garcia's is one of 34 books on a variety of subjects written, the publishers say, "by leading thinkers" in their fields. The fact that Garcia was chosen to write the book is a credit to his academic standing. The fact is, one of his primary academic areas of interest is school choice. He has written on the topic before. The MIT series makes clear its books are supposed to present an objective overview of their topics. The publishers state the books are meant to supply "foundational knowledge that informs a principled understanding of the world." It contrasts that to "instant information gratification," adding that we have plenty of access to "opinions, rationalizations, and superficial descriptions." So the task before Garcia in writing this book was to provide "foundational knowledge," not opinions. He succeeds at the task. This book offers a broad and accessible discussion of school choice that is written for a general audience. I focus on the major issues and arguments typically encountered in the public discourse on school choice, that is, how school choice is discussed in media accounts and in education policy settings. If the book wanted to appeal to a wider audience, it might include the subtitle, "Everything you always wanted to know about school choice but didn't know who to ask." I've looked reasonably deeply into the subject myself, so I can say Garcia covers it pretty thoroughly and in a readable manner. He includes some information I wasn't aware of, something I always appreciate in a book. It will remain on my computer desktop as a one-stop reference on school choice. "School choice" is a buzz phrase used by the privatization/"education reform" crowd as a stand-in for vouchers and, to a lesser extent, for charters. But its actual meaning extends further. 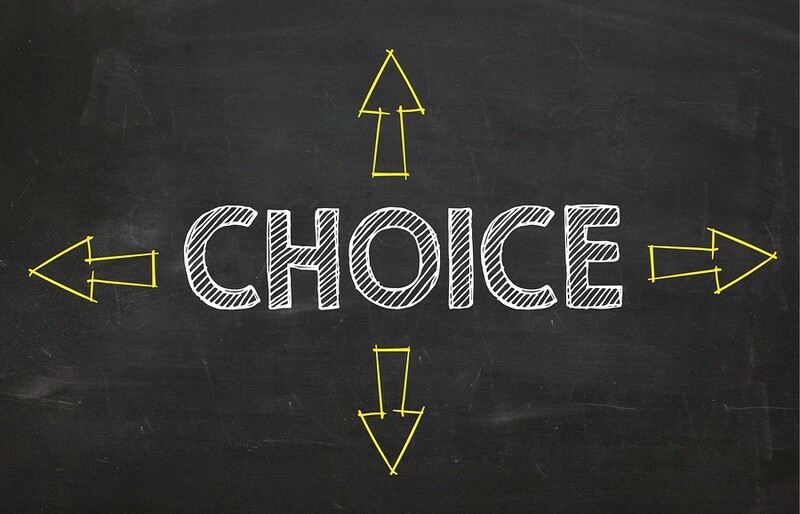 As discussed in the book, magnet schools, which are intended to allow parents from across the district to "choose" those schools for their children, are examples of school choice. So is the Arizona law which says students can attend any public school in their district, and even schools outside the district if they have empty slots. That's why students from Vail, Catalina Foothills and other school districts attend TUSD's University High, and students inside the TUSD boundaries attend schools in neighboring districts. Bodine's blog post claims that voucher and charter school advocates can use Garcia's book as a tip sheet on how to set up voucher programs, and how to make pro-voucher arguments. I suppose he's right. People reading the book for ideas supporting school choice can find arguments in their favor. But it would be a tedious process. Why bother when there are far easier ways to find material in favor of vouchers and charter schools? Just go to the Goldwater Institute, which has written elaborate voucher recipes listing all the ingredients and how to put them together. So have any number of privatization/"education reform" organizations and think tanks whose work is readily available. For legislators looking to enact school privatization legislation, ALEC has already written it. Just add the name of your state to their cookie-cutter bills and present them during the next legislative session. Readers of Garcia's book with an agenda would have to dig through all kinds of material which would be extraneous to what they were looking for, and read lots of counter arguments to their positions. Writers and political campaigns go after candidates all the time. That's the name of the game. But attacks on Garcia based a gross misrepresentation of the contents of his book is dirty politics pure and simple. Democrats should leave that to the Republicans. They're already sharpening their knives for whoever wins the Democratic gubernatorial primary. Comments on Garcia's book by journalists: Brahm Resnik, one of Arizona's premier journalists, wrote on twitter when he heard of blogger Larry Bodine's post about the book: "I read the book. The blogger and the professor [David Gibbs, who is quoted in Bodine's post] grossly distort the content. It's not even a close call." But a close examination of the 196-page "School Choice" reveals a text that reads more like an academic primer than a fervent defense of public-school alternatives — one that repeatedly takes pains to stress the author's impartiality. She quotes Garcia asserting that he was presenting the material "in the most comprehensive and unbiased manner that I can possibly accomplish." She agrees with his assertion. Nearly 100 percent of the text obtained and reviewed by The Arizona Republic supports those claims. Garcia spends several pages laying out a history of U.S. schooling options before outlining and analyzing the views of each option's proponents and critics in detail.